Dean obviously has a soft spot in his heart for Survivor, because he’s got a Survivor band shirt that says Eye of the Tiger, with a picture of a tiger on it. 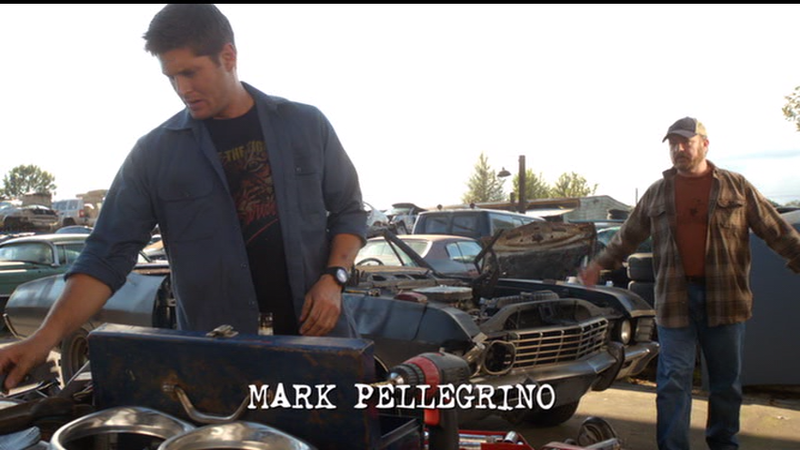 In Meet the New Boss (7x01), we first see this shirt when we first see Dean working on the Impala. He wears it until Sam wakes up and joins him. He looks so young in that second pic! I know, eh?! He's adorable. 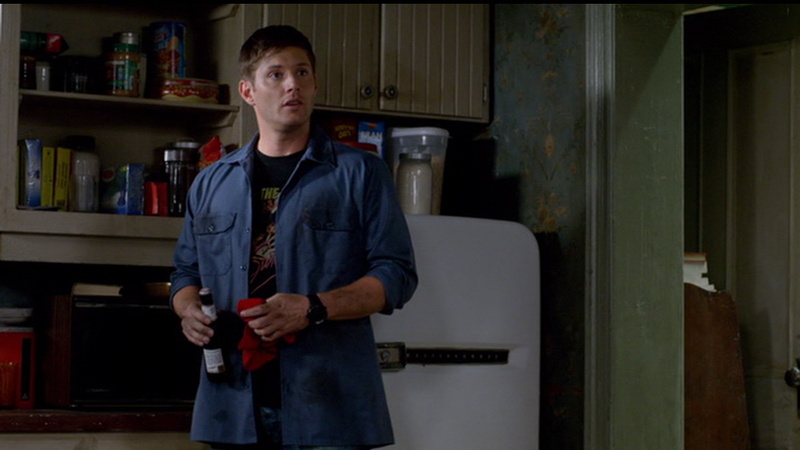 I have noticed that Dean really only wears his graphic t-shirts when he's not hunting. So, that fits in perfectly with your Stairway 'verse.